Available in two sizes the Feeder Case is designed to accommodate a wide range of feeders and associated tackle. Complete with three removable storage boxes with adjustable partitions, the box in use can be stored in the top compartment for easy access during the session. 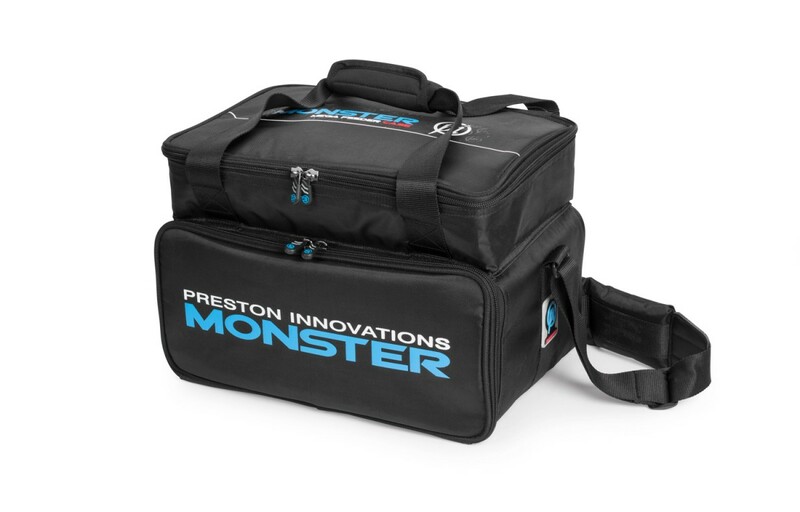 Alternatively the top compartment can be used for storing reels, hook boxes or other accessories. The strap retainer also allows you to stow away the padded shoulder strap when not in use to avoid mud and rain. The Feeder Case is designed to accommodate a wide range of feeders and associated tackle. Complete with three removable storage boxes with adjustable partitions, the box in use can be stored in the top compartment for easy access during the session. 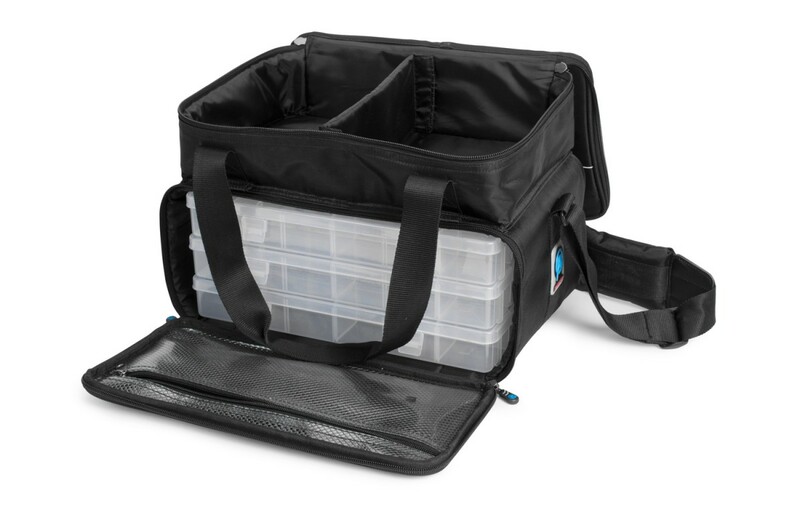 Alternatively the top compartment can be used for storing reels, hook boxes or other accessories. The strap retainer also allows you to stow away the padded shoulder strap when not in use to avoid mud and rain.